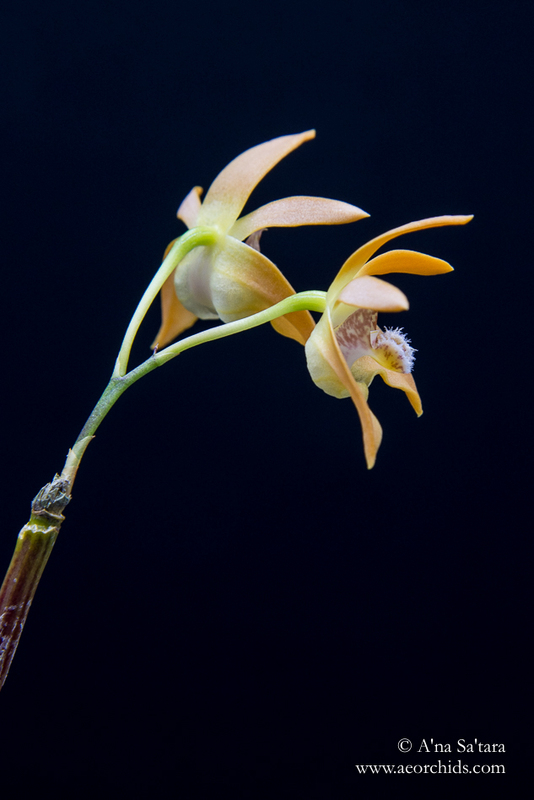 A hardy Australian species from Queensland, growing at higher mountain elevations (1000-1500m) as an epiphyte. 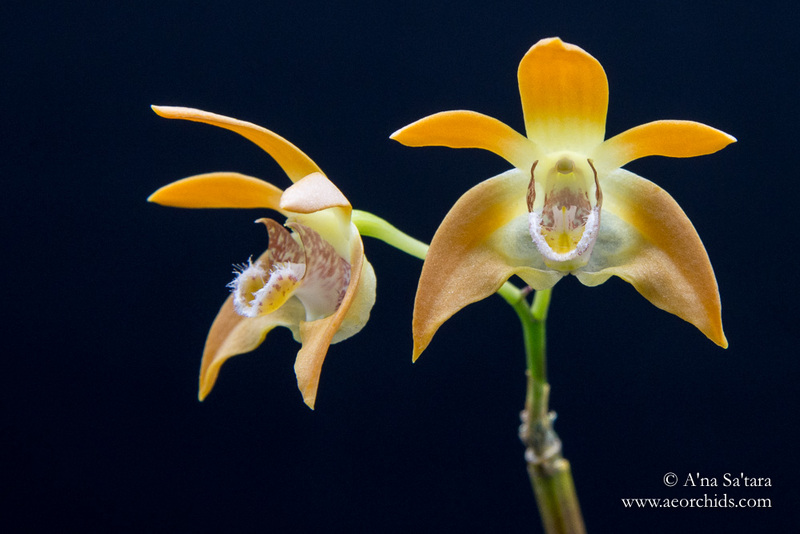 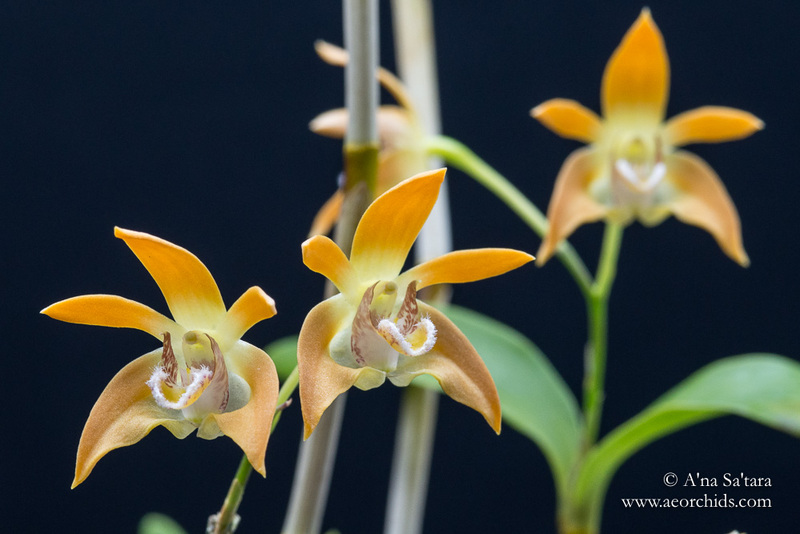 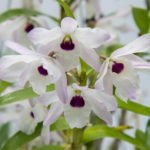 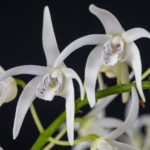 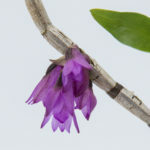 I grow this species “cold”, with my Dendrobium kingianum, outside until below 30F. 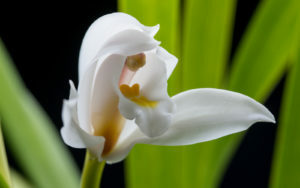 This particular plant has bloomed in sequence over the spring, with the first flowers opening in April, and continuing through June, with a second flowering in August. 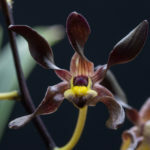 It is the latest flowering of my native Australian species this year. 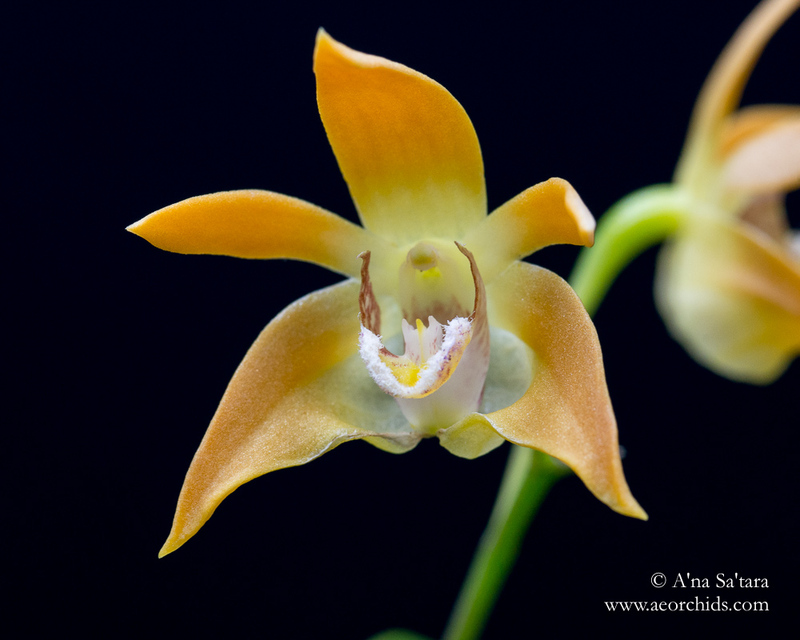 I have also noted hybrids with this species blooming in early fall (Sept-October).